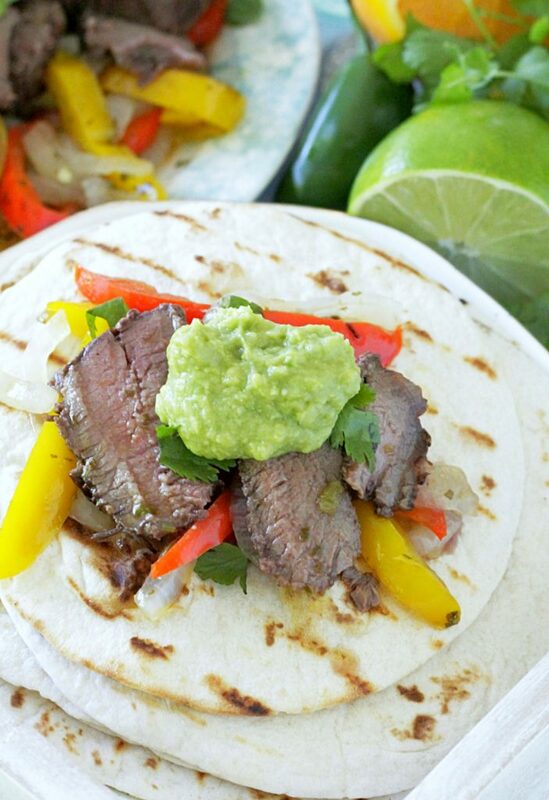 Thank you to the Ohio Beef Council for sponsoring my recipe for Grilled Margarita Steak Fajitas. As always all opinions are mine alone. Gosh I love grilling season. I don’t actually enjoy the hot weather that comes with it. Cincinnati, Ohio summers are humid. I prefer cooler temperatures but I obviously can’t be picky. So if the arrival of the bright sun and hot, humid air means more grilled steak on my dinner table then I’m good with it. I’m lucky with my job in that the weather doesn’t affect what I do. Me complaining about a humid day is a first world problem. Farmers don’t have that luxury. My Dad grew up on a small farm in Troy, Ohio and worked at several tractor suppliers in his career as a “parts man” (that’s what he calls himself – he primarily managed the Parts Department at a Ford dealership). So I always grew up with a healthy respect for farmers, but I was still far enough removed that when I go visit a farm I always learn new things. 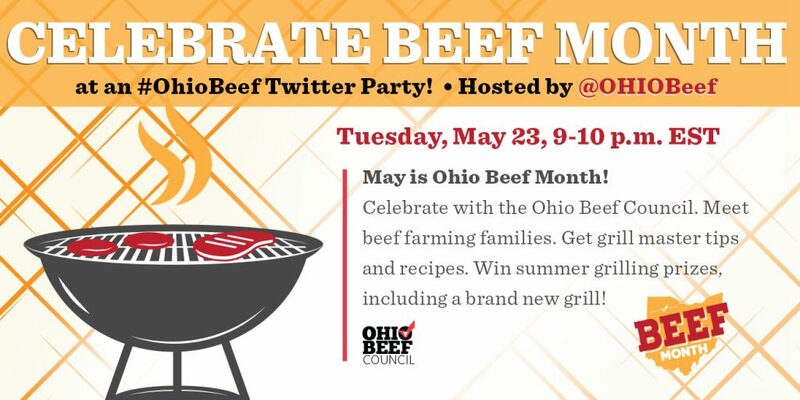 I got to visit two of the 17,000 family-owned beef farms in Ohio last week thanks to the Ohio Beef Council. There’s nothing “factory” or hands-off about it. Their cows have a better planned diet than I do most days! Did you know that all cows are grass-fed for about the first six months of their life? In those last six months they get a mix of all kinds of grasses and grains to eat, including the spent grain used to brew beer. Those grains are still full of protein and fiber for the cows. Of the many takeaways from my trip I hope you understand how thoughtful farmers are when raising your food. They are feeding their own families too and approach their fields and livestock with respect. They utilize their resources in the best way possible. And that thankfully results in some very tasty beef. That fat marbling is the result of a mixture of grains in the cows’ diet. 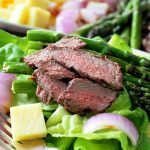 It’s where the flavor lives in a steak and makes these Choice petite sirloin steaks I chose for my recipe tender and delicious. 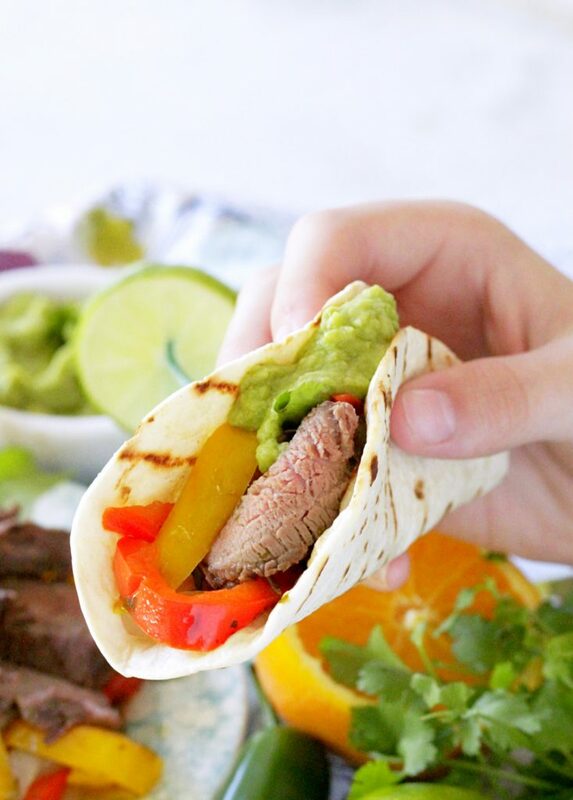 I decided Margarita Steak Fajitas on the grill would be fun going into summer with all the gatherings, parties and holidays on the horizon. 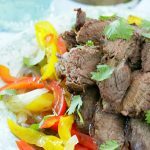 Many of the recipes I searched for research called for cooking the peppers and onions on the stovetop but I never like to turn on BOTH my grill and my stove. So I decided to grill my peppers and onions with a little of the margarita marinade in a foil packet. The thing about grilling is practice makes perfect. I know my grill and where its hot spots are. I know to start my steaks on the left side to sear the outside and then move them to the right side at a lower temperature to finish cooking. A meat thermometer is essential too. If you like your steaks medium-rare you’ll want to pull them off when they are 135 degrees and then let them rest for 10 minutes before serving. They’ll continue cooking once they are off the direct heat of the grill and be at 145 degrees when you cut into them. 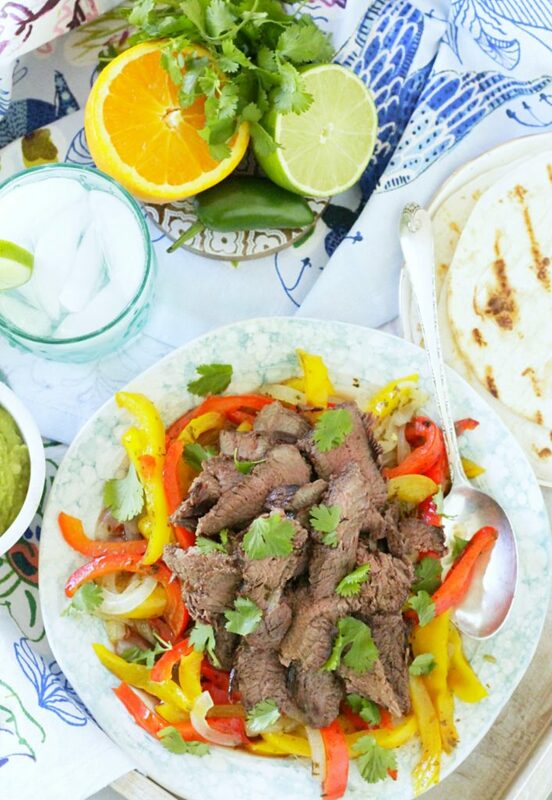 My margarita marinade uses a healthy dose of tequila. The alcohol content will evaporate with the heat of the grill. And as for the jalapeno pepper if you like a spicier marinade chop the pepper with the ribs and seeds because the center of the pepper is where the heat resides. 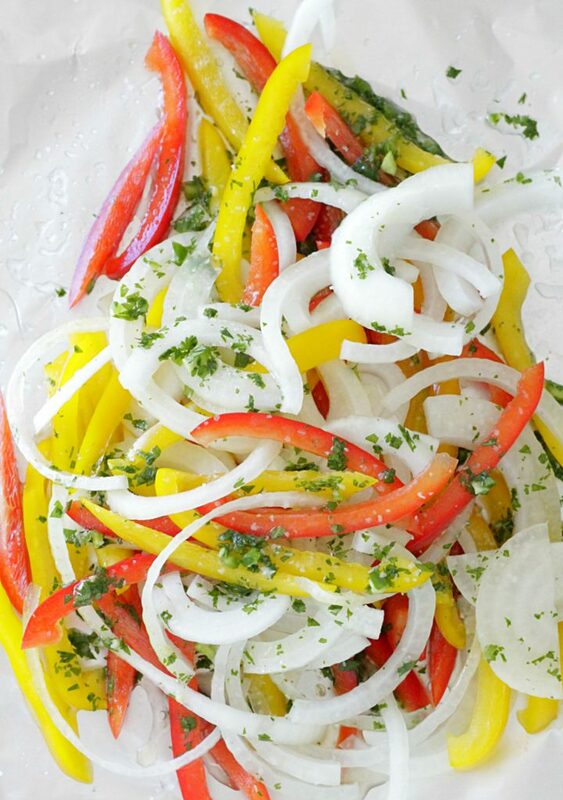 Thinly slice the peppers and onion and place them in the center of a large piece of heavy duty or grill-safe foil. Squeeze the juice of the lime and the half an orange into a small bowl. Add the tequila, oil, cilantro, garlic, jalapeno, sugar and salt to the lime and orange juice. Whisk to combine. Pour about 1/4 of the marinade over the peppers and onions. Fold the foil to seal. Place the steaks in a zippered bag and pour the remaining marinade over them. Allow the steaks to marinate for 20 minutes. Turn half the grill burners to low and place the foil packet on the low heat side. Close lid. Peppers and onions will cook while the steak is marinating. 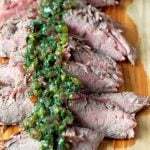 After 20 minutes, remove the steak from the marinade and place on the hot side of the grill. Cook for about 3 minutes. Flip the steaks over and move them to the lower heat side of the grill. Cook until desired temperature is reached (135 degrees for medium rare, 150 degrees for medium). 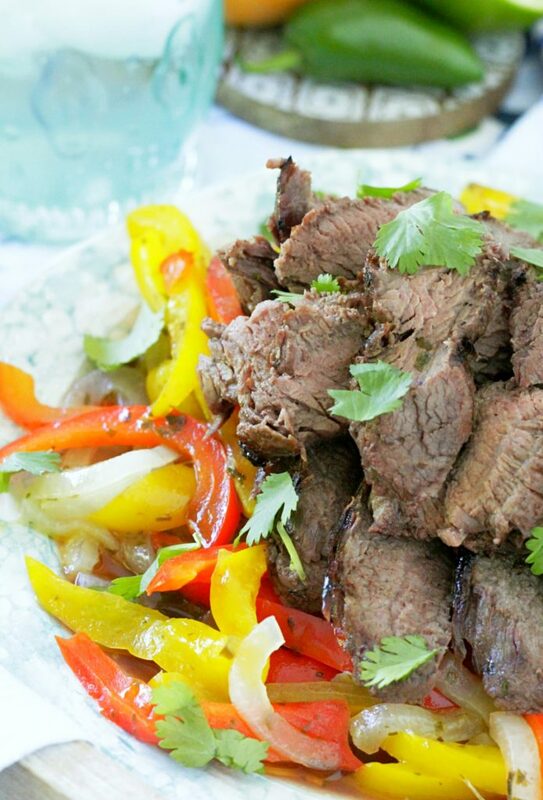 Remove both the steak and the foil packet with peppers and onion from the grill. 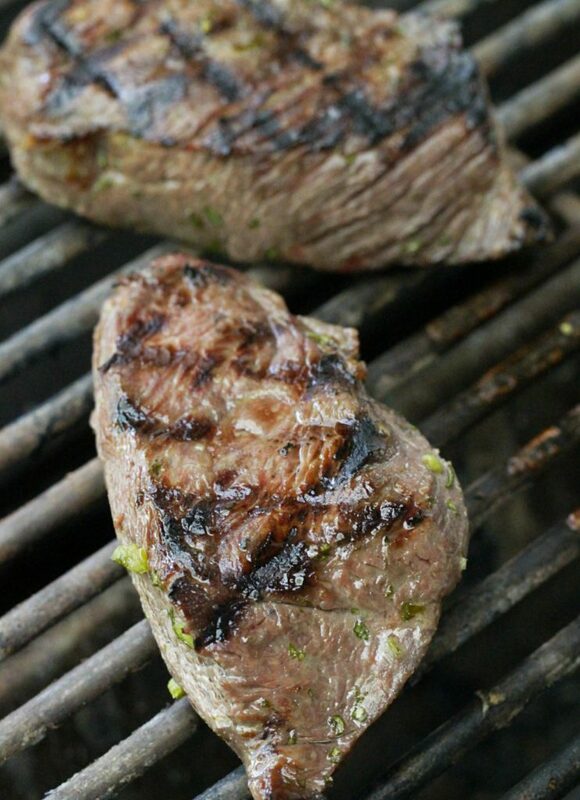 Allow the steak to rest for 10 minutes before slicing and serving. 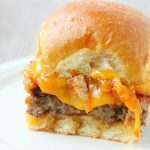 Oh these sound so good! Loving everything about them….especially the fact that it’s a recipe for the grill. Now I really can’t wait for summer! These would make my hubby so happy! And I love all those fresh peppers in there! Perfect for summer! These look great 🙂 I love summer, and I don’t mind humid weather. I especially love grilling everything! That steak looks so juicy and delicious. Can’ wait to dive in. I love grilling season too! 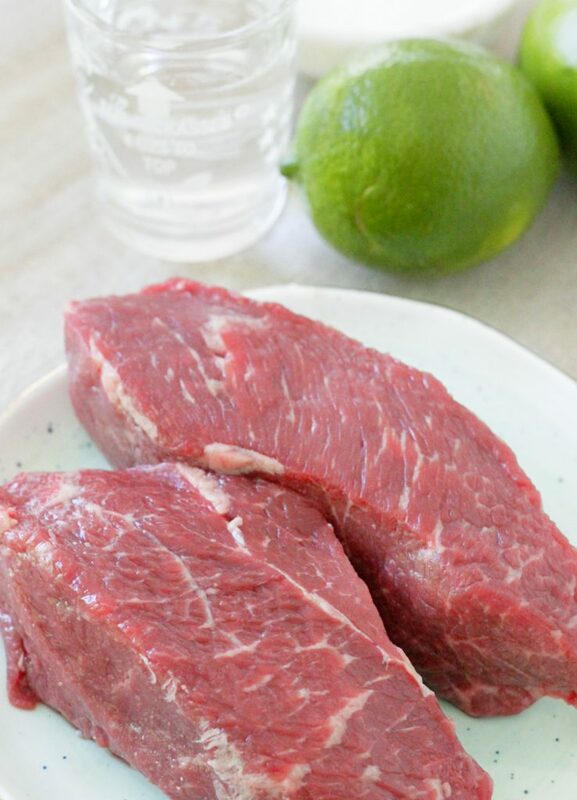 Love the idea of margarita steak, think my boyfriend will like this one.